What do geocachers and pirates in common? They both treasure the treasure. Avast ye landlubbers! Join us for another wild ride and learn more about the adventures of Woest Willem (Wild William), a once fierce scourge of the seven seas in our Geocache of the Week. Woest Willem is inspired by a popular Dutch children’s book of the same name. Willem is a crusty old pirate that lives alone in his house that he built with his own hands. One day, a terrified boy mistakenly climbs up the roof and Willem begrudgingly rescues him. They become friends and start building a boat together. Eventually, Willem has to admit that he never learned to swim, so the boy teaches him how, strengthening the bond between two unlikely mateys. 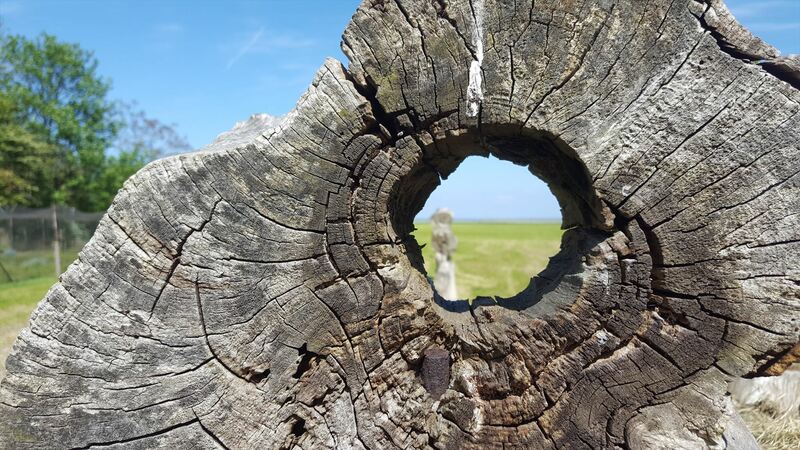 The cache is located in the Netherlands on the outskirts of a small hamlet called Vatrop. Placed with permission of the property owner, it resides in a large wooden box attached to the property. 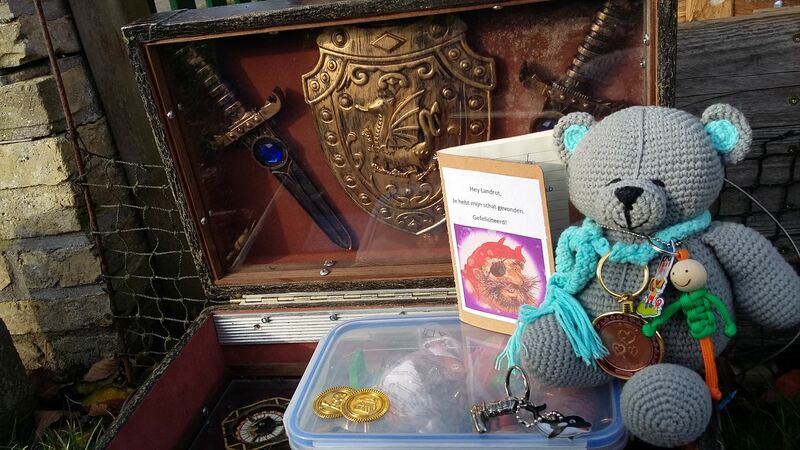 Opening the box reveals a secret treasure chest Willem hid here after his retirement. 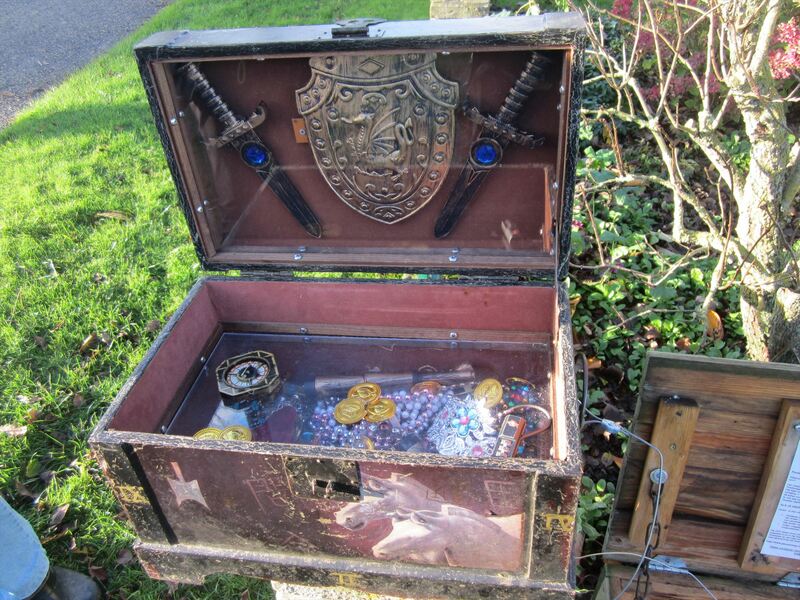 It is a true pirate treasure, filled with doubloons and other valuable trinkets. Once you sign the logbook take a few minutes to explore the surrounding area as there are many interesting and unexpected art installations close to the pirate’s home. Rumor has it that Willem got into art after his retirement, but we might never find out if that is the truth.